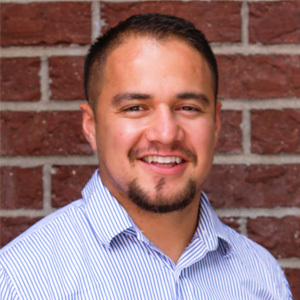 Jose Esparza is the Executive Director of BuCu West headquartered in Denver Colorado. Follow them on Facebook, Twitter and Instagram and learn more at bucuwest.com. We facilitate community-based economic development. The neighborhood we work in is a working-class neighborhood with a high concentration of youth and ethnic minorities and our goal is to create opportunities for wealth building, career advancement, education, and community gathering to improve the quality of life for this population. We are helping businesses start, challenging them to grow, and facilitating community involvement to create a strong and resilient local economy. My parents who came to this country when they were 18 and worked blue collar jobs in manufacturing. I saw how hard they worked, how diligent and frugal they had to be to give me and my 3 siblings a good life. I recognize how much I was not just my parents’ child but a product of my environment. So when I see families and youth struggling to break into middle-class jobs or entrepreneurship, I am driven to find ways to balance the playing field and end chronic poverty. We are seeing a lot of success with incubating new businesses so my hope is that the organization continues to respond to the community’s needs and incubate the type of businesses they want to start. We can do more to provide opportunities for young adults and professionals to guide them into careers to serve their community and families. And, my dream is that the organization does this while maintaining the ability to be self-sustaining with earned income, community investments, and a community-led board of directors. We are still developing a self-sustaining model for the organization and although we are able to provide many resources for the area, we still have to make strategic investments in community real estate assets and equipment that will increase our ability to maintain the culture of this community while still providing economic opportunity. So access to programming grants and flexible loans will be essential to the success of our organization for the immediate future. At times we are victims of our own success, and although millions of dollars have been leveraged to improve this community there are still generations of neglect to overcome. So between market economic forces pressuring families to pay more for living costs and additional resources earmarked for the neighborhood, we have to do more to comprehensively support families in this community to gain wealth and be assured that they are fighting to benefit from the improvements they helped to create. The best way to lead is to serve and the best way to know how to serve is to listen. Strive for mixed-income communities so that isolation doesn’t divide us. Financially and strategically support efforts that are actually community led and are creating wealth and a better quality of life for the people they are serving. Share success and failure stories so we can all improve.